The low-cost airline Norwegian has put a hold on the sale of 6 of its Boeing 737-800 aircraft that it has previously planned to sell to cover for some of the grounded 737 Max 8 aircraft. The airline also continues to combining flights and reallocating aircraft and use all available 787 Dreamliner capacity on high-volume routes, which will add flexibility. to cover the grounded aircraft. 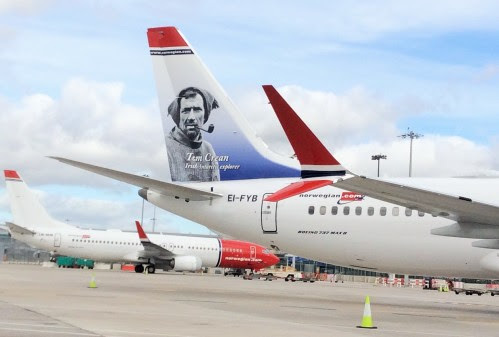 Norwegian also confirmed on Monday, 25th March that it was further preparing to wet-lease aircraft to fill the remaining capacity gap. In response to the suspension of Boeing 737 MAX the airline has updated its Ireland schedule from Cork, Shannon and its new route from Dublin to Hamilton from 31 March.